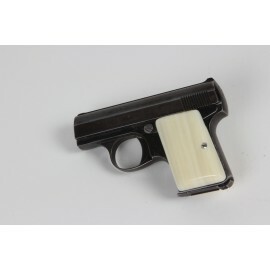 Colt Pocket Model .25 Caliber Grips (1903) There are 3 products in this category. 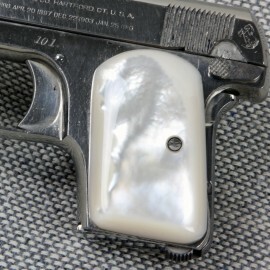 These Genuine Mother of Pearl grips are specially handcrafted from rare exotic materials. Owning these grips is like owning a piece of history. These Genuine Mother of Pearl grips are specially handcrafted from rare exotic materials. Owning these grips is like owning a piece of history.